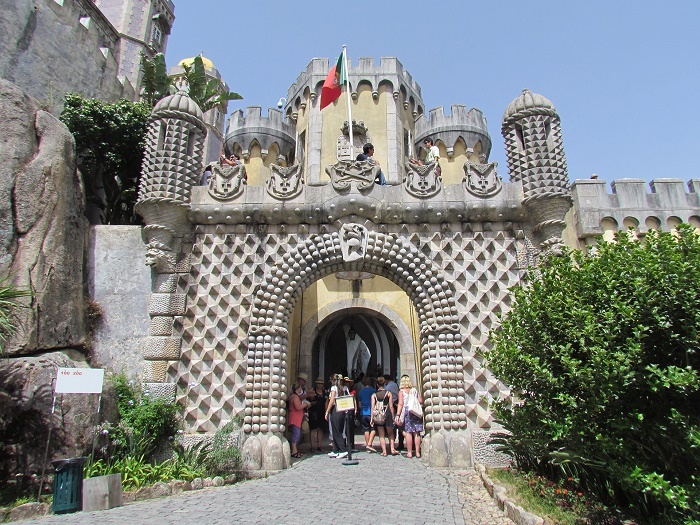 Palácio da Pena, or as it is in English Pena Palace, is a castle and also one of the most important, as well as finest tourist attractions located in the municipality of Sintra in the Portuguese Republic. 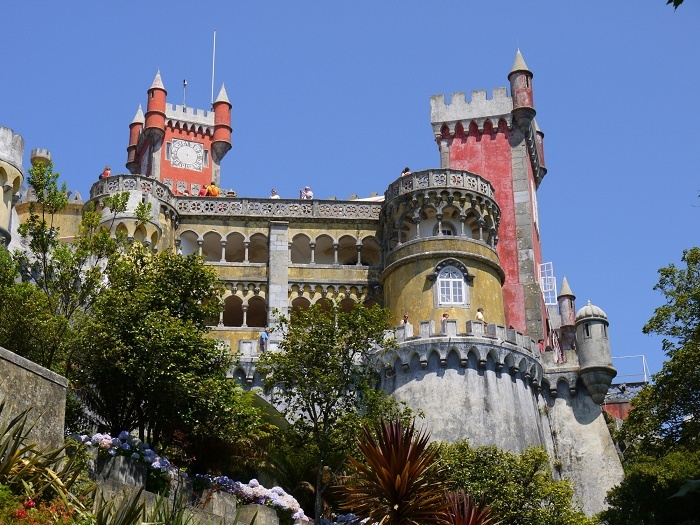 As it stands on top of a hil surrounded with forested park, the castle represents the Romanesque Revival architectural style, where on a clear day it can be easily spotted from the capital city of Portugal, Lisbon. 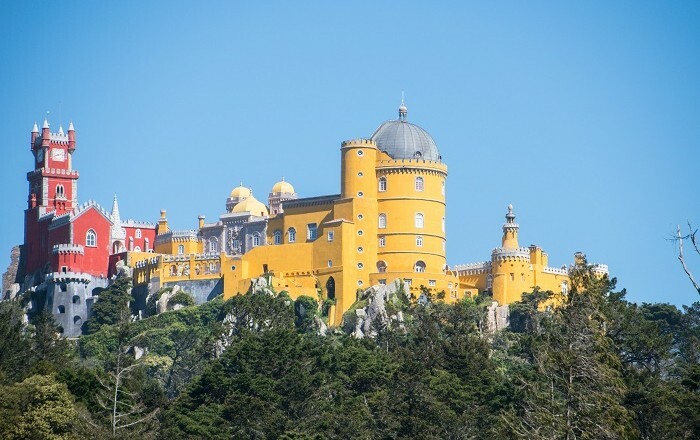 This hedonistic mix of vividly painted terraces, decorative battlements and mythological statues, all of which stand at stark contrast to the lush greens of the forests that encircle Pena, is also a national monument and part of the Seven Wonders of Portugal. 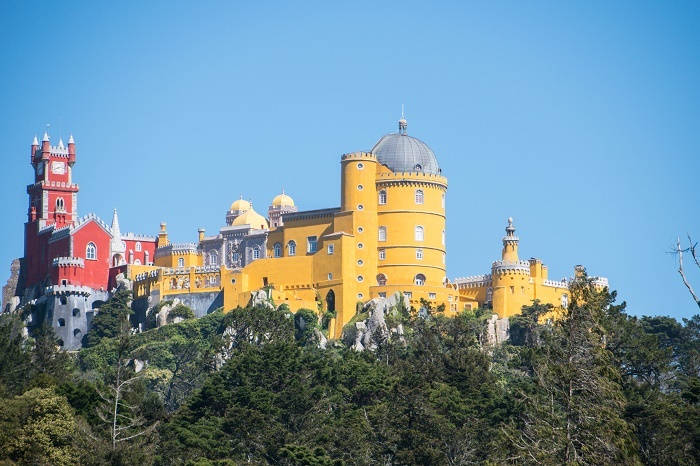 Even though the construction began in the Middle Ages, it was completed some time in 1854 according to the design of Baron Wilhelm Ludwig von Eschwege. 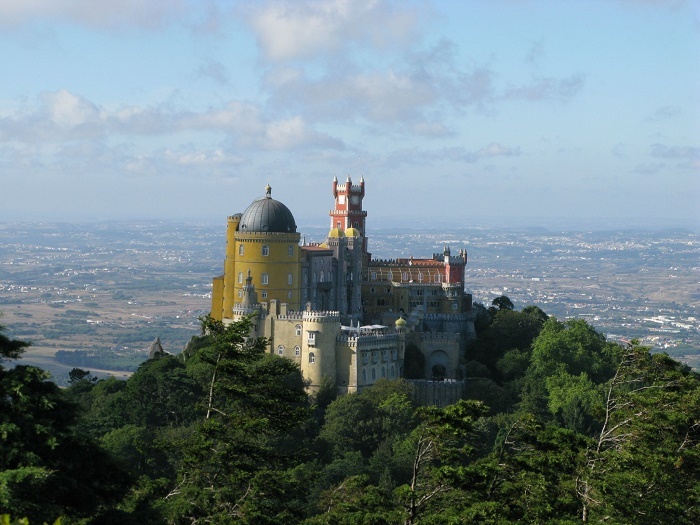 However, the biggest credit most likely is to be given to the King Ferdinand II, whereas the castle was meant to be a summer home for the Portuguese royals. 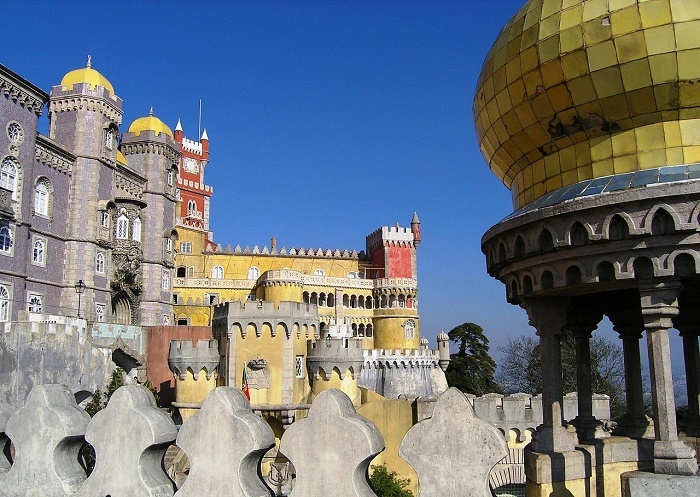 Nonetheless, the styles which are mixed perfectly have some interesting eclecticism that includes the Neo-Gothic, Neo-Manueline, Neo-Islamic and Neo-Renaissance styles. 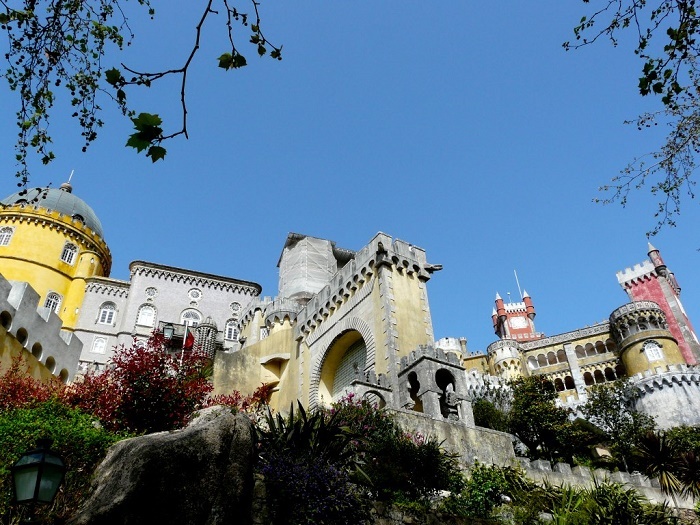 The whole structure stands atop the rock of the Sintra Mountains, and it can be divided in four different sections. 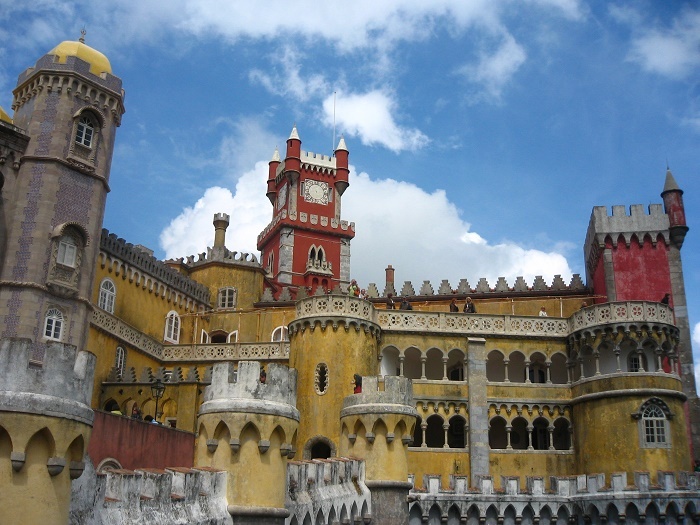 Beginning with the two gateways together with the enveloping walls and the foundation making the first section, continuing with the restored structure of the old convent, and the clock tower as second. 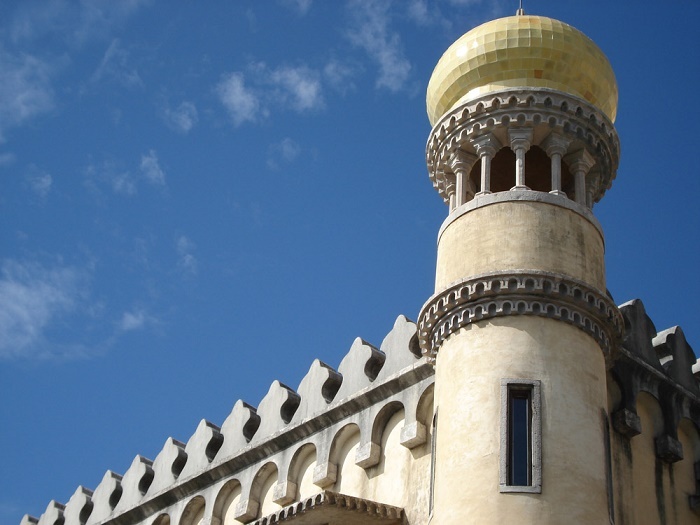 The Arches Yard in front of the chapel, with its wall of Moorish arches are representing the third section and finishes with the palatial zone and its cylindrical bastion, with interiors decorated in the cathédrale style. 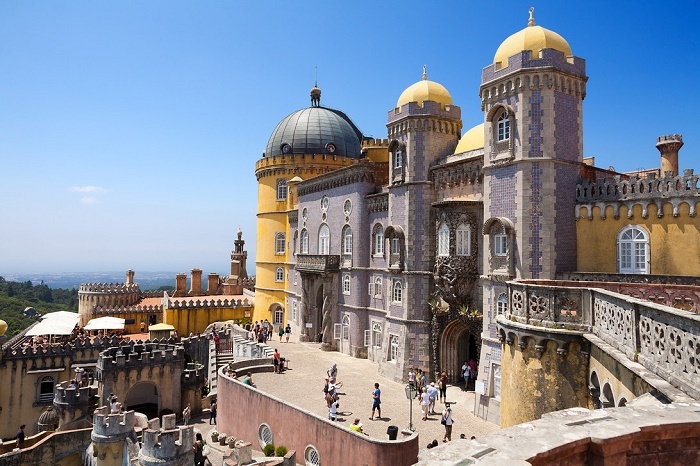 Still, the interior of the Pena Palace is fascinating as the exterior is, yet, being restored to reflect the decor, it was abandoned in 1910 when the Portuguese nobility fled to Brazil to escape the revolution, and today it gives the sense to every visitor of a certain time from the past. 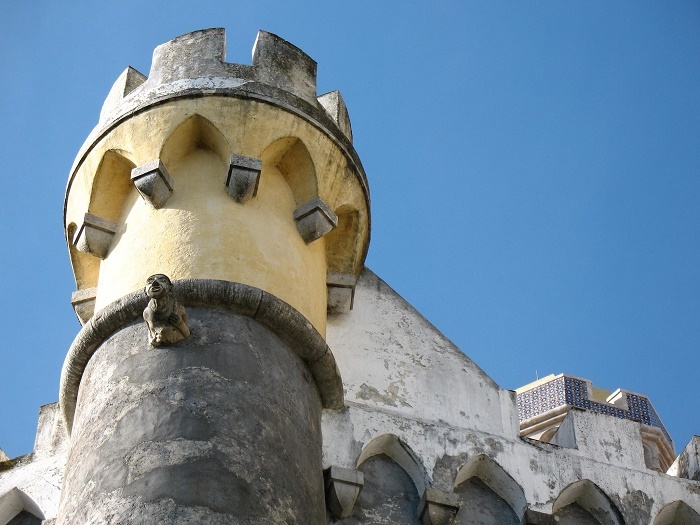 With its amazing stuccoes, painted walls in trompe-l’oeil and in various revetments in tile from the 19th century, the Pena Palace nowadays is classified as an important UNESCO World Heritage Site. 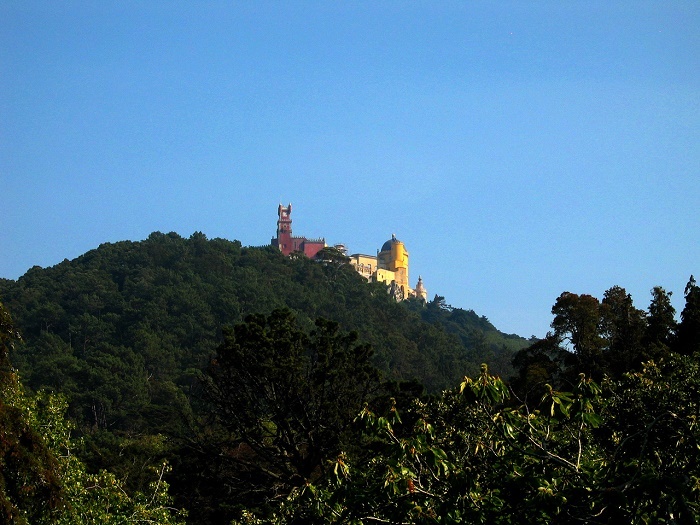 Yet, it is seen as one of the grandest instances of Romantic architecture with its colorful ‘towers’, and most likely one of the most visited places in the country where many people do enjoy in its beauty.